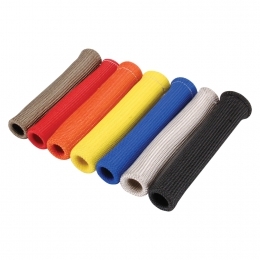 Designed to be the ultimate protection for your cables, lines, wires or hoses. 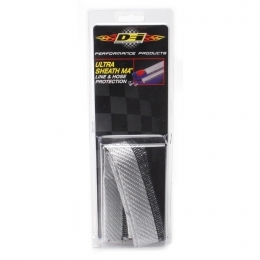 Ultra 47 Sheath has a higher sustained heat capability of up to 1100°F and is more flexible than standard foil or bonded aluminium products. 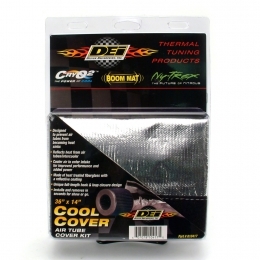 Cool Cover is designed to prevent air tubes from becoming heat sinks. 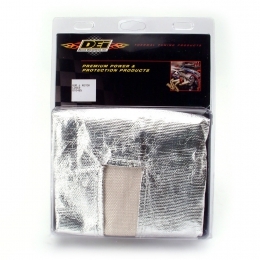 Made of heat treated glass fibre with a reflective coating, Cool Cover will reflect radiant heat from air tubes and promotes a cooler, denser, more powerful air charge. With a unique full length hook & loop closure design, Cool Cover can be removed in seconds. Batteries are very susceptible to heat and vibration that can cause premature failure and hazardous acid leaks. 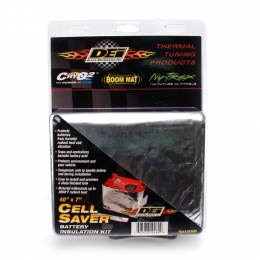 Cell Saver is designed to protect against damaging vibration and will absorb and neutralize any battery acids that may be present. Cell Saver is easy to install and excess material can be trimmed to accommodate batteries of most sizes and shapes. Provides protection against dirt, dust and airborne particles for people working on the vehicle and others around the pits or workshop. Made from a high temperature resistant glass fibre material and treated with a proprietary coating, Protect-A-Boots provide spark plug caps and ignition wires with protection from extreme heat and helps prevent burn-through, hardening and cracking of components.